Filmed by Jan Michael in Normandy; my voice-over dubbed on for non-French speakers. might try that one with reeds as the organic farm where we are trying out a Perone has plenty of them to be scythed in the boundary ditches each year. I must get some more thatching straw. 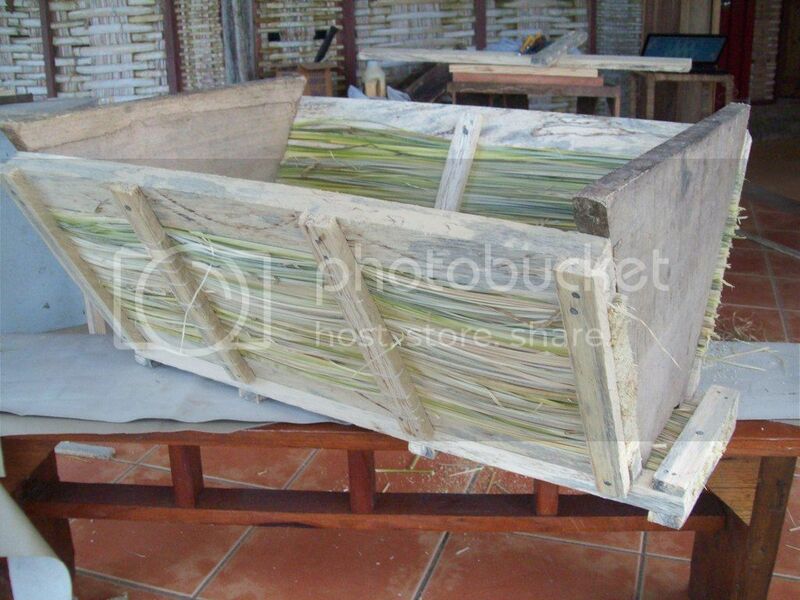 I still haven't got around to making the straw Warre hive I was talking about years ago!! I'm very interested in this. Very interesting video, Phil. 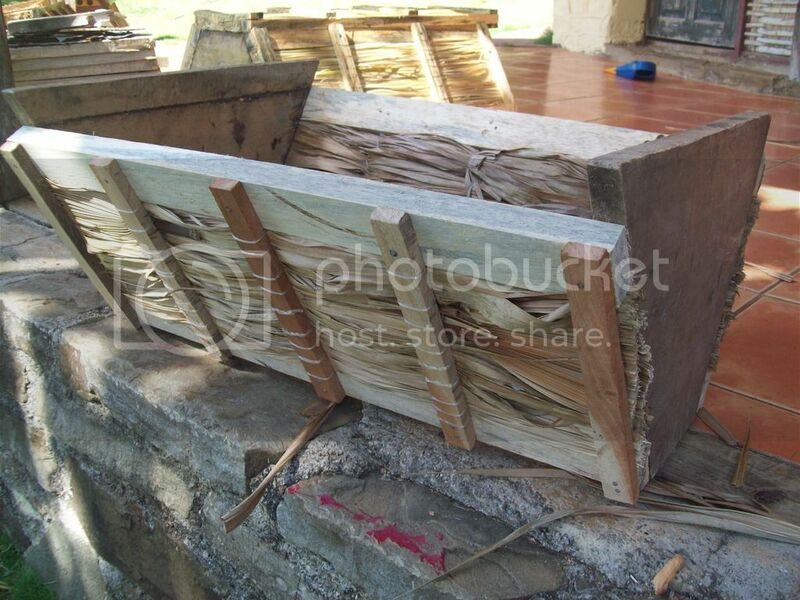 I ran across an article somewhere on the internet where they used a similar technique for making Langstroth-type hives. 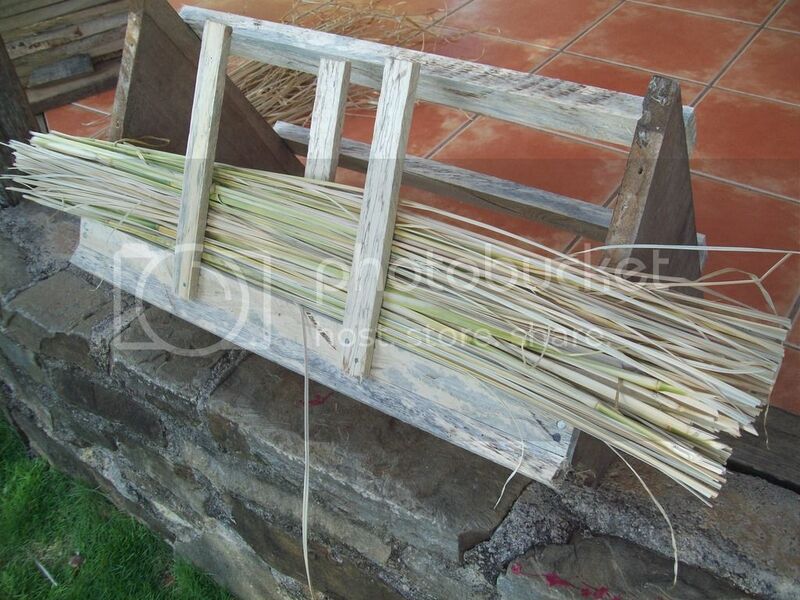 I’ve had the chance to experiment with natural materials for making tbhs when I was doing some beekeeping trainings in Jamaica. 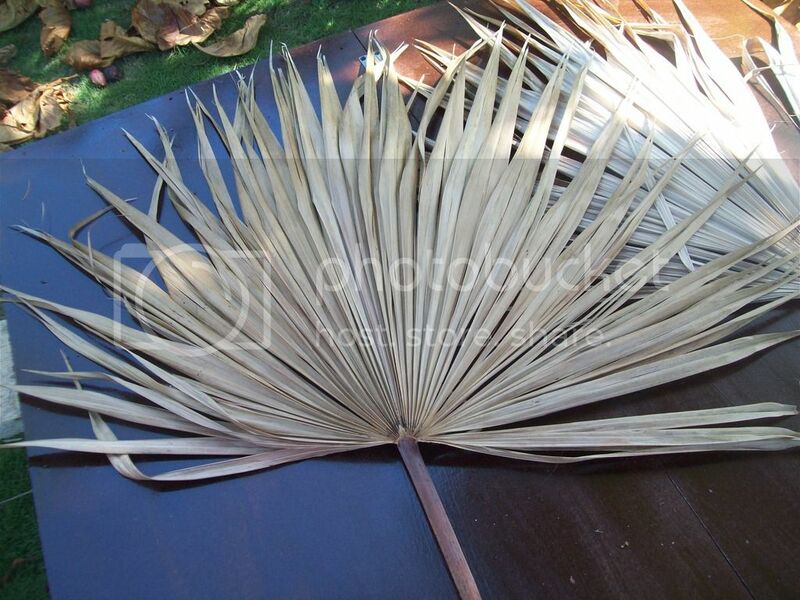 We used bamboo, the mid ribs of banana leaves, corn stalks, thatch palm and khus khus grass. I wanted to keep the construction of the boxes a bit simpler so I didn’t use a jig to separately do the initial packing of the material, like they show in the video. I set up the frame of the tbh box and packed it directly into it. Then I took some fishing line or carpenter’s string and sewed it together, tightening it up. Some of them even got a floor made of the natural material. We didn’t go as far as covering it with dung, though. Rather we just put some varnish on the outside. We only made two foot boxes with these materials—more for demonstration purposes. The boxes did get used, however, for newly caught swarms and splits. I was told that the bees really liked these boxes and built up very nicely in them. Also check out some of the more recent posts on my Facebook page for pictures of the Khus Khus grass hive and thatch palm hive. These are from my most recent trip to Jamaica, in July of this year.